You open your eyes and fool yourself that the only reason it’s dark in your room is because of your curtains. You toss and turn for a while, then finally decide that taking a shower will wake you up and help you start your day. You freshen up, walk outside, and find the usual overcast sky with no room for blue in the sky. Everyone in the hallway makes squeaky noises as they walk down the hallways to their office/lab/class, but no one is really energetically talking. You navigate through the low energy hallway lounging/walking people scattered throughout your journey to your office. You sit down in front of your office computer, tackle your inbox, fool around on Facebook or the like, and finally tell yourself that it’s time for you to get some real work done. Then you realize that as soon as you attempt to start anything productive, you’re dozing off. That’s even when you got your share of 8 hours of sleep last night and even took a nap yesterday on top of it — i.e., more than plenty of sleep to keep you going. The forever darkness of the Vancouver sky have created the perfect cool temperature for your skin, depressing silence among your labmates, and lack of sunshine for your eyes, such that your visual, haptic, and auditory sensory requirements to fall asleep are satisfied more hours during the day than you’d like. It’s rainy. It’s gloomy. It’s always overcast and gray everyday. It’s Vancouver in its true colour. 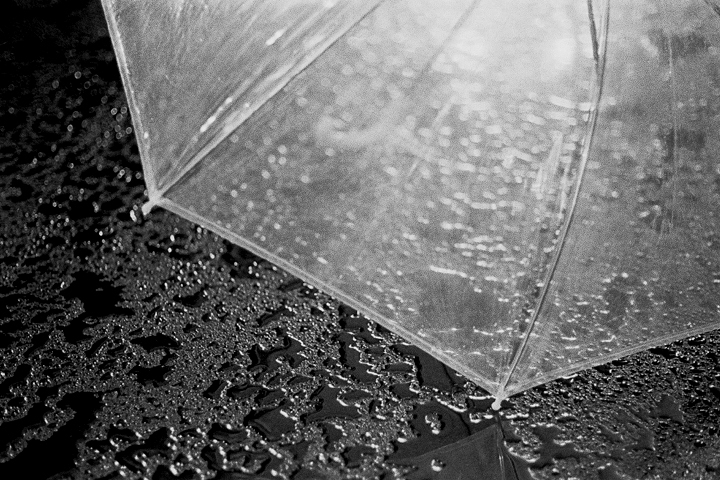 When I first moved to Vancouver, my focus in surviving the Vancouver weather had more to do with staying dry than anything else.I kept forgetting to carry an umbrella with me when I walk out the door, or forgetting to wear boots to keep my feet dry for the day. Now that I’ve been in Vancouver for a while, staying dry is no longer an issue. I seem to be always equipped with high heel boots or high heel something to keep my feet dry even when I walk through puddles of water or perpetually wet and muddy grassy area. I have an umbrella at my office, in my purse, and at home, so I am never short of an umbrella when I need one. Even if I happen to forget my umbrella and end up getting rained on, I no longer care too much, say ‘meh~’, and continue walking. I no longer check the weather forecast the night before, or the morning of. It almost seems as though my daily assumption for the weather forecast as ‘overcast, high chance of precipitation, chilly enough for you to be wearing a coat and a scarf’ is just as good as output of highly sophisticated weather forecast algorithms from the weather stations. Yes, Vancouver is one of the top handful of best cities to live in. And yes, Vancouver summers are great. But when it comes to the rainy season, which makes up more than half of the year in my opinion, Vancouver can require you to have quite a unique impact on you. And that includes some super powerful impact weather can have on your mental state of things. Some people told me that more people in Vancouver are taking antidepressants than any other major cities in Canada or something along the lines (I don’t have stats, but I am sure I can look it up). And apparently there is something called Seasonal Affective Disorder (SAD) that can be characterized by the type of daily life I’ve described in the first paragraph of this post: you want to sleep all the time, you’re tired all the time, and you feel irritable, depressed, or sad everyday. So, I’ve noticed that this year’s rain is really hitting me hard than it really used to. Mind you, I love the rain, and I am the kind of person who would sing ‘Singing in the Rain’ when walking down the street stepping on puddles and such. I’ve been having a hard time waking up, and I’ve been napping much more than I have been before (I don’t usually take naps). My productivity have been suffering because of my lack of energy I think. I am an early morning kind of person and used to really enjoy waking up at 5:30 or 6:00am in the morning during the summer to read the newspaper before starting my day. Hence, the fact that I struggle in the morning has really been affecting my morning productivity as well as my energy level in general. Totally unsatisfied by my daily output, I think it’s time that I do something about it, and beat this unfortunate cycle of overcast weather and overcast daily fatigues/dissatisfaction. I think the first thing I am going to do is install some super bright lights in my residence and fool my brain to think it’s beautifully sunny outside. I’ve been totally wanting to get a commercial wake-up light that turns on the light gradually starting half an hour before you are supposed to wake up, so that it’s kinda like the sun is coming up when it’s time for you to wake up. But being a poor grad student, I don’t think I can afford to get the commercial solution. So I think I am going to equip myself with an arduino, a lamp from the Craig’s list or something, and make a wake-up light for myself. And I’m trying out a new morning routine to include indoor exercise as soon as I wake up at 6am, such that I counterbalance my stress level in the morning. We’ll see what happens. But I am determined to beat this tragic phenomenon, and use this as an excuse to decorate/revamp my residence. Has anyone found a good ‘fight Vancouver gloominess’ solution? If so, please do share. Meanwhile, I am going to try very hard not to fall asleep after I post this… yawn~~!! This entry was posted in All about Vancouver, The Weather Here and tagged Do it student style, Weather on October 29, 2012 by AJung.